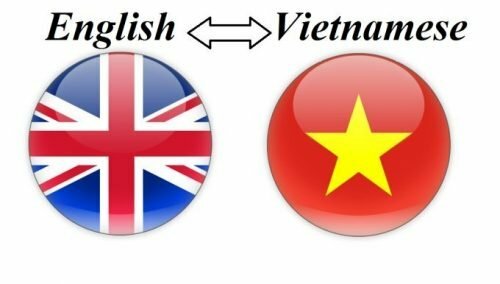 Vietnamese - English translation projects: potential traps and tips to manage - Professional Translation Agency | Asian Languages. Two months ago, we were assigned an interesting Vietnamese to English project by a well-known LSP. The end-client is a very well-known brand. The volume was more than 100k words. Certainly this is not the first Vietnamese-English project we have done. However, due to its uniqueness, it could be a very good example of how Vietnamese source text may challenge your linguists. Let’s just say, if it is on the web our client may have pulled it. They have then provided us with all these random segments and want us to translate them. Consequently, no two segments will follow in context. Every segment is a new sentence and is independent from others. The quality requirements were very high, 2 LQA rounds would be performed during the production and translators must be English native speakers to ensure smooth and natural translated texts. In Vietnamese, there’re many homographs, or words spelled the same, pronounced the same but having different meanings and origins. Leaving those words alone, we, as native Vietnamese speakers, just can’t tell which is which. If there’s a short context, such as a sentence or a phrase, we can “sense” it with our native tongue. But normally it’s not the case for native English speakers. Compound words, which make up a big portion of Vietnamese language, is the second culprit. Compound words does exist in English as well. But in English, commonly two words or more are joined together without any extra symbol/space to create a new meaning (rey, softball, redhead, keyboard, makeup, notebook), or joined together by a hyphen (daughter-in-law, over-the-counter, six-year-old). In Vietnamese, all compound words are in open form. It means that there is no hyphen in between and those compound words look perfectly like two or three single meaningful words. Consequently, understanding of the translator on the source text could be dramatically aected and confusion could happen anytime. Slang which is more typical for this R&D project, should be listed anyway. For slang, of course it requires translators to have a high level of exposure to informal contexts. If translators only have experience with technical domains, they fail without doubt. Sentences with no standard structure: this is a typical trait of Vietnamese language in general. Vietnamese language obviously has a grammatical structure. However, a lot of sentences can be understood well without any standard structure. This happens mostly in spoken language or informal conversations. Again, the “native Vietnamese” factor determines if a sentence without standard structure could be understood correctly or not. So we were in a dilemma: if the native English translators do the translation, then very likely they will not understand the source Vietnamese text correctly, which leads to severe mistranslation. But if we use native Vietnamese translators, a smooth and natural translated English text can’t be guaranteed. Equally important, it is against the project’s policy to use native English translators. We still let a native English translator to do translation in the rst round. Then a native Vietnamese reviewer will perform a review round. Please note it is review but not revise. Our Vietnamese reviewers will check if the translation is correct to the source Vietnamese text. If they detect any error or potential error, the English native translator will be notied. Most of the time, the reviewer helps to explain how the source Vietnamese text should be best understood. Low-level errors such as punctuation or spelling are checked during this round as well. The translator implements changes where necessary. Overall, translated texts are never touched by the Vietnamese reviewer, and always nalized by the English translator. All the process can be done easily on a bilingual review Word le exported from Trados Studio. This simple solution worked beautifully! We passed both two LQA rounds by client with score 96/100 and 98/100 respectively. Conclusion: traps are always there, but if you deeply understand the language you’re working with, everything would become pretty much simpler. Would you agree? I simply desired to thank you so much again. I do not know what I might have implemented without the actual smart ideas documented by you relating to such subject. It became a very traumatic circumstance in my position, nevertheless encountering this well-written avenue you managed it forced me to jump with delight. Now i am happy for your information and even believe you know what an amazing job you are accomplishing educating the others through the use of your website. Most likely you have never met all of us. Thank you, I’ve just been looking for information about this subject for a while and yours is the greatest I have came upon till now. But, what concerning the bottom line? Are you certain concerning the source? With havin so much written content do you ever run into any problems of plagorism or copyright infringement? My website has a lot of unique content I’ve either created myself or outsourced but it looks like a lot of it is popping it up all over the internet without my permission. Do you know any ways to help protect against content from being stolen? I’d genuinely appreciate it. Hi! I’ve been following your weblog for a while now and finally got the bravery to go ahead and give you a shout out from New Caney Texas! Just wanted to say keep up the excellent work! Hmm it appears like your website ate my first comment (it was super long) so I guess I’ll just sum it up what I had written and say, I’m thoroughly enjoying your blog. I as well am an aspiring blog writer but I’m still new to the whole thing. Do you have any tips and hints for beginner blog writers? I’d certainly appreciate it. Hello! Quick question that’s totally off topic. Do you know how to make your site mobile friendly? My site looks weird when viewing from my iphone 4. I’m trying to find a theme or plugin that might be able to fix this issue. If you have any suggestions, please share. Thank you! It is actually a great and useful piece of information. I am satisfied that you just shared this useful information with us. Please stay us informed like this. Thank you for sharing. Hi, i feel that i noticed you visited my blog so i came to “go back the desire”.I’m attempting to to find things to improve my web site!I guess its adequate to make use of some of your ideas!! There are certainly a number of details like that to take into consideration. That may be a nice level to deliver up. I provide the thoughts above as basic inspiration but clearly there are questions like the one you bring up where the most important thing might be working in honest good faith. I don?t know if finest practices have emerged round things like that, but I am positive that your job is clearly recognized as a fair game. Each boys and girls really feel the impact of only a moment’s pleasure, for the remainder of their lives. I have been surfing on-line greater than three hours as of late, but I never found any interesting article like yours. It’s lovely price sufficient for me. Personally, if all webmasters and bloggers made just right content as you probably did, the internet can be much more useful than ever before. You could certainly see your enthusiasm in the paintings you write. The arena hopes for more passionate writers such as you who are not afraid to mention how they believe. All the time go after your heart. “There are only two industries that refer to their customers as users.” by Edward Tufte. Hi, i feel that i saw you visited my website so i got here to “go back the want”.I’m trying to in finding issues to enhance my site!I assume its good enough to use a few of your ideas!! Hi, Neat post. There is a problem with your website in internet explorer, may test this… IE nonetheless is the market chief and a big portion of other folks will miss your wonderful writing because of this problem. I have read several excellent stuff here. Definitely value bookmarking for revisiting. I surprise how a lot attempt you set to create this kind of excellent informative website. Hey! I know this is kinda off topic nevertheless I’d figured I’d ask. Would you be interested in trading links or maybe guest writing a blog post or vice-versa? My blog addresses a lot of the same subjects as yours and I feel we could greatly benefit from each other. If you’re interested feel free to shoot me an email. I look forward to hearing from you! Terrific blog by the way! Hello! I’ve been reading your site for a while now and finally got the bravery to go ahead and give you a shout out from Austin Tx! Just wanted to tell you keep up the excellent work! I absolutely love your blog and find the majority of your post’s to be exactly what I’m looking for. Do you offer guest writers to write content for yourself? I wouldn’t mind writing a post or elaborating on some of the subjects you write in relation to here. Again, awesome website! Some genuinely rattling work on behalf of the owner of this internet site, perfectly outstanding subject material. I am not really great with English but I find this rattling easygoing to read . You are my breathing in, I own few blogs and occasionally run out from brand :). “No opera plot can be sensible, for people do not sing when they are feeling sensible.” by W. H. Auden. There are certainly plenty of particulars like that to take into consideration. That is a nice level to bring up. I provide the ideas above as normal inspiration but clearly there are questions just like the one you bring up where an important factor will be working in sincere good faith. I don?t know if greatest practices have emerged around things like that, however I’m sure that your job is clearly recognized as a good game. Each girls and boys feel the affect of only a moment’s pleasure, for the rest of their lives. I must show appreciation to the writer just for rescuing me from this setting. As a result of checking throughout the the net and coming across notions which are not pleasant, I believed my life was over. Being alive without the solutions to the difficulties you have resolved through your write-up is a critical case, as well as the kind that might have adversely affected my entire career if I had not discovered your blog post. Your personal ability and kindness in handling all areas was precious. I am not sure what I would’ve done if I had not come upon such a step like this. I can at this time look forward to my future. Thanks a lot very much for your professional and effective help. I won’t hesitate to refer the sites to any person who should receive care on this subject. hi!,I like your writing so a lot! proportion we keep up a correspondence more about your post on AOL? I require an expert in this space to unravel my problem. Maybe that’s you! Having a look ahead to peer you. certainly like your web site but you have to take a look at the spelling on quite a few of your posts. Several of them are rife with spelling issues and I find it very bothersome to inform the truth nevertheless I?¦ll certainly come again again. I believe this web site has got some very good info for everyone :D. “We rarely think people have good sense unless they agree with us.” by Francois de La Rochefoucauld. I’ve been exploring for a little bit for any high-quality articles or blog posts on this kind of area . Exploring in Yahoo I at last stumbled upon this web site. Reading this information So i’m happy to convey that I have a very good uncanny feeling I discovered just what I needed. I most certainly will make certain to don’t forget this web site and give it a glance regularly. of course like your web-site however you need to test the spelling on quite a few of your posts. A number of them are rife with spelling problems and I in finding it very bothersome to inform the truth nevertheless I will surely come back again. Its good as your other articles : D, appreciate it for posting. “The squeaking wheel doesn’t always get the grease. Sometimes it gets replaced.” by Vic Gold. Hi my family member! I want to say that this article is amazing, great written and come with almost all important infos. I’d like to peer extra posts like this. Simply a smiling visitant here to share the love (:, btw outstanding layout. “The price one pays for pursuing a profession, or calling, is an intimate knowledge of its ugly side.” by James Arthur Baldwin. I would like to thank you for the efforts you’ve put in writing this site. I am hoping the same high-grade blog post from you in the upcoming as well. In fact your creative writing skills has inspired me to get my own site now. Really the blogging is spreading its wings rapidly. Your write up is a good example of it. Howdy! Someone in my Myspace group shared this site with us so I came to give it a look. I’m definitely enjoying the information. I’m book-marking and will be tweeting this to my followers! Superb blog and wonderful design. It’s in reality a nice and helpful piece of info. I am glad that you simply shared this useful information with us. Please keep us informed like this. Thanks for sharing.